I study really epic bacteria. Although you typically don’t hear the adjective “epic” to describe “bacteria”, in this case, that is exactly what they are…epic. If you look up the definition of epic, it is defined as telling a story about a hero or of exciting adventures that transcend normality. In this specific case, I study cyanobacteria who are believed to be the bacteria that generated the oxygen in our atmosphere billions of years ago. They carry out a process common to all plants where they utilize light energy from the sun to produce oxygen and metabolic energy–also known as photosynthesis. So, by a literal definition of the word “epic”, these cyanobacteria are heroes to many forms of life on this planet including humans. They probably have a few exciting adventures to speak of as well. Today, massive populations of marine cyanobacteria regulate many important global processes and are critical components to many of the food webs we depend on for food and industry. One way to think of it is that the large terrestrial forests around the world absorb carbon dioxide and possibly contribute up to half of the oxygen in our atmosphere; photosynthetic single cells in the ocean including cyanobacteria contribute the other half. As most people know, carbon dioxide emissions are outpacing carbon dioxide removal from the atmosphere. So, how will this excess carbon dioxide in the atmosphere affect the evolution of these cyanobacteria? And then how will their evolutionary changes in turn affect global processes, food webs, and eventually global economies? My research this summer as a WIES Sonosky Fellow tries to begin to answer these cascading questions. 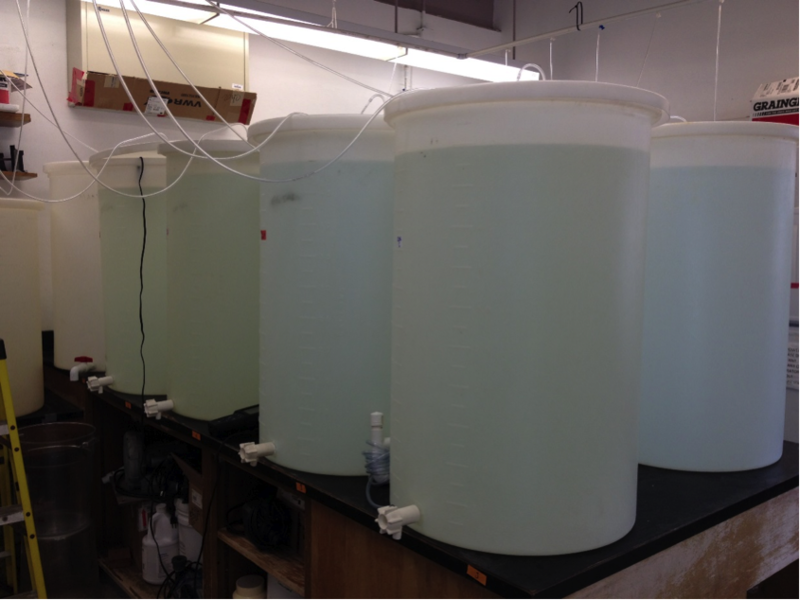 To do this, we isolate important cyanobacteria from the ocean and grow them for long periods of time in bottles in the lab where we simulate future ocean conditions including increased carbon dioxide concentrations. 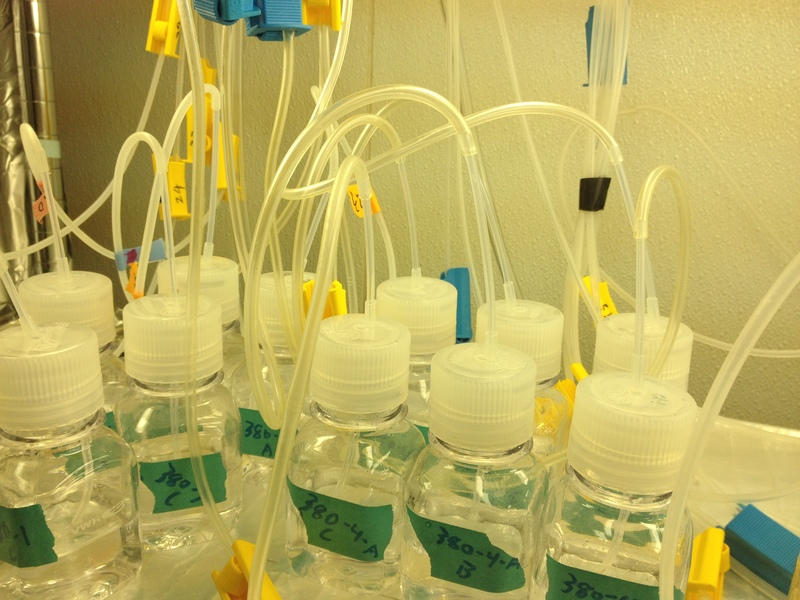 During this incubation, we monitor changes in genetics, physiology, and chemistry. As we see these organisms evolve and adapt to the “future” ocean, we can then begin to assess how their evolutionary trajectories may begin to affect different global cycles around the world. Constant removal of carbon dioxide is important to our atmospheric balance, and much of life depends on oxygen for normal functioning. Thus understanding the biology of cyanobacteria and how they might change in response to a changing climate is pivotal to the future of both our ecosystems and our economies. 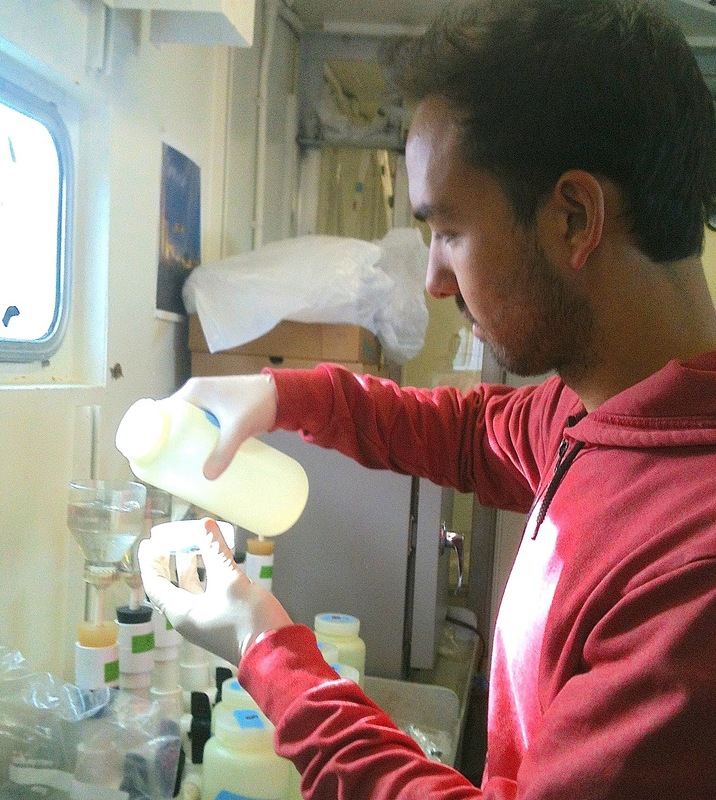 Nathan is a 2014 Sonosky Fellow and a graduate student in the laboratory of David Hutchins, in the Marine and Environmental Biology Department at USC. 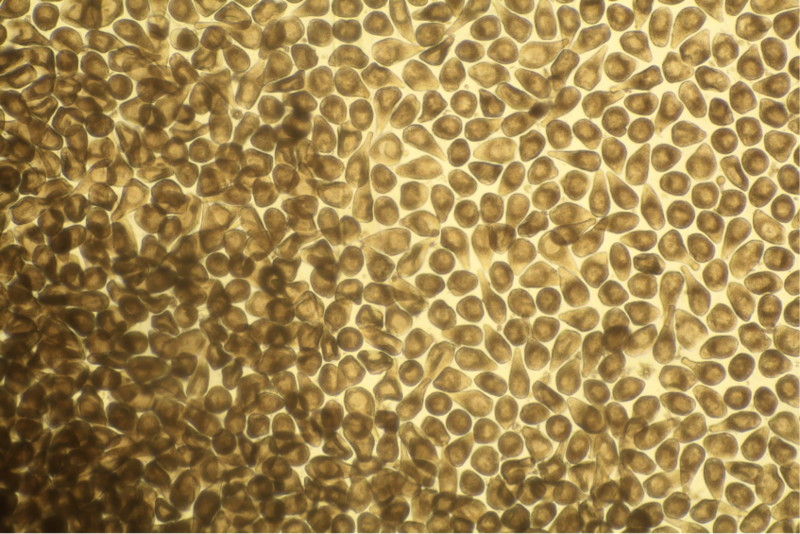 This entry was posted in Graduate, Wrigley Institute on August 28, 2014 by Jessica Dutton. 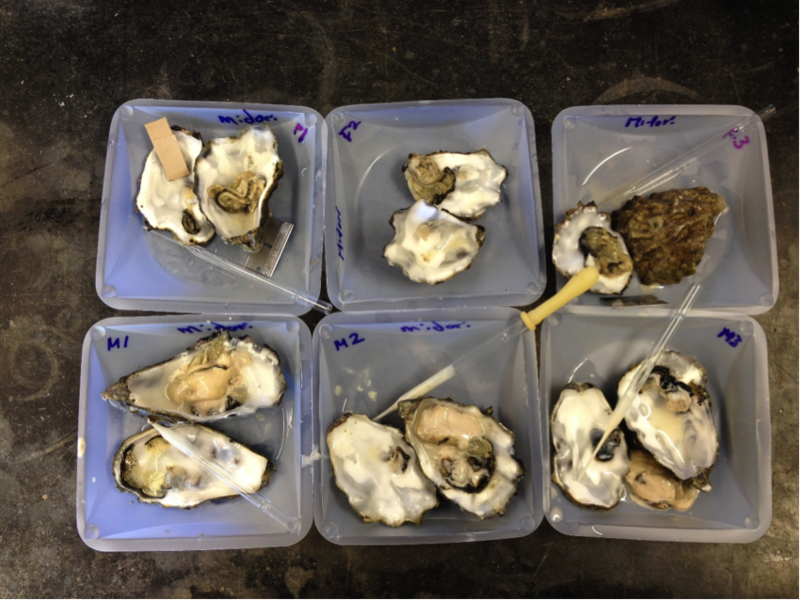 As a high-yielding species tolerant of environmental stresses, Pacific oysters have been widely studied. One of their well known features: Pacific oysters bear a high mortality rate in their early life stages, especially during settlement and metamorphosis. But why? What is happening in that stage? What is the mechanism underlying it? My summer research on Catalina, supported by the WIES Summer Graduate Fellowship, is to explore those arcane stories. In order to observe the life cycle of Pacific oysters, I usually create oyster babies through a spawn. After collecting eggs and sperm from parent oysters and fertilizing them, I have tons of oyster larvae. It is then both easy and challenging to take care of these babies. The husbandry of baby oysters is simple because I only need to change water every other day from two days post fertilization, record how many I have, take pictures (for sizing purpose), and feed them with tasty algae! However, while the description is very straightforward, there are many challenges in practice. Sometimes, those baby oysters refuse to grow up, staying at the first stage of life — a “trochophore”– instead of moving on to become a “veliger” (D-hinge shape), and finally to metamorphose and settle into a non-swimming juvenile oyster. Sometimes they won’t grow as fast as they should. Sometimes only a few of them survive at all. I always wonder why these things happen and how I can explain them. According to many earlier studies by other researchers, there are several possibilities. It might be because they prefer a lower or higher temperature, or that the food I provide for them is not as palatable as they desire, or that their tank houses are too crowded. I am still unable to determine the cause, but I am confident I can figure it out one day. Through the language of research, those oysters will tell me what’s going on. At this moment, what I really want them to tell me is how their genetics play a role in determining their success in settlement and metamorphosis. This is the focus of my research this summer and fall. Around 18 days after fertilization, I will offer them “new carpets” in their tank houses by covering the bottom of their 200-liter bucket tanks with empty oyster shells. This is the surface where they will hopefully settle down. Then I will observe how many of those baby oysters settle on the shells or continue to swim in the water column every day. After that, I will provide bigger tanks for those that successfully settle, hoping they’ll grow into adults large enough for me to run genetic tests so that I can understand the characteristics of those that survived. If you are curious about what they tell me, come back and ask me three months later. I am sure an exciting story is waiting for us. 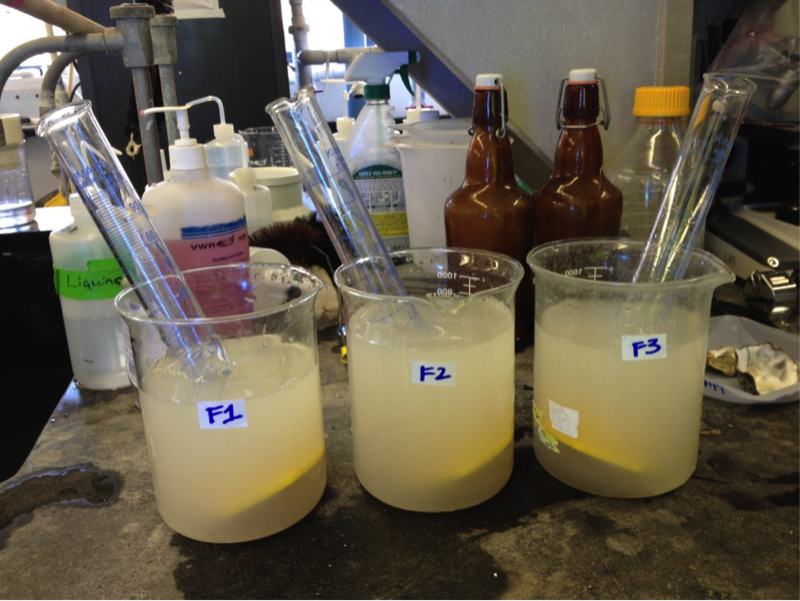 This entry was posted in Graduate, Wrigley Institute on August 26, 2014 by Jessica Dutton.